The M-Sport and Pirelli-supported Ford Fiesta Trophy is a new and exciting addition to the British Rally Championship in 2019. 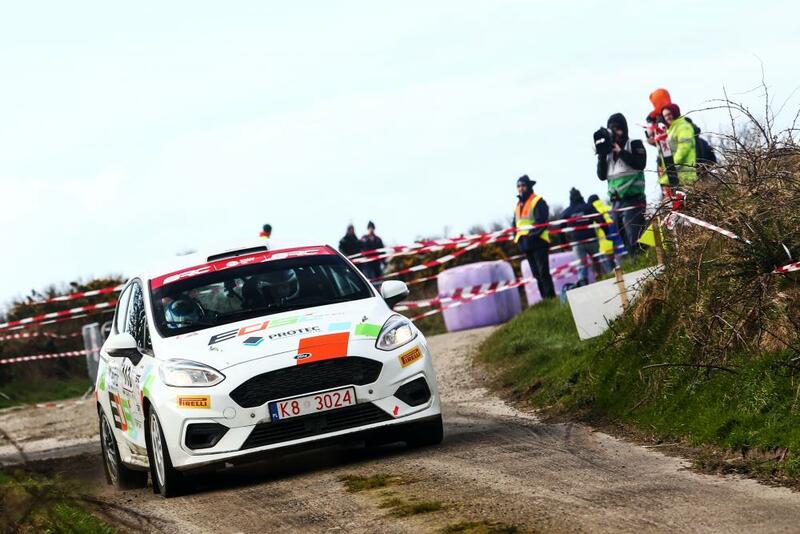 Open to the R2 Fiesta in the Junior BRC – drivers are fighting for a cool 60,000 euro prize fund which will give the winner a helping hand into the Junior World Rally Championship in 2020. After a round on gravel and tarmac, we caught up with how the runners and riders are getting on after round two. Scottish rising star Finlay Retson has also shown flashes of brilliance in the 2019 Fiesta and is tied on points with Bell after the opening two contests. It was never going to be easy to come to West Cork and just be out front,” says Retson. Bart Lang has nestled himself into third in the standings in his older-specification Ford Fiesta and is revelling his step-up into the Junior BRC and having a turno-charged car at his disposal. “I could see why Irish tarmac creates such a buzz! I don’t think the little Fiesta has spent so long on the limiter in 5th gear before, except perhaps in it’s JWRC days. While Lang may be frustrated at the wheel of his older-specification car, reigning Cadet Cup Champion Jordan Reynolds has not had luck on his side so far this season. The Englishman hasn’t finished an event this year despite being in class leading positions on both the Cambrian and Wets Cork. Reynolds spoke on the disappointment of the last round. The next round of the series will be the Pirelli International Rally at the end of April – with the BRC returning to the famous gravel of the Kielder forest complex.